Expert Global Solutions (EGS) offers customer service outsourcing services (voice, text, chat and email) to its global clients, It has more than 40,000 employees in more than 70 locations across 11 countries, some of whom are home based. 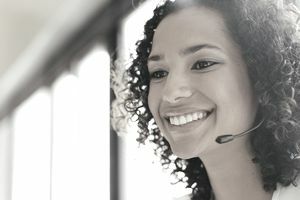 While most of EGS's customer service jobs are for office-based employees, the company does have a robust work-at-home division that offers opportunities in for both agents and for supervisors. Medical call center agents take incoming and make outgoing calls and other forms of communication with pharmacies and medical offices. General call center agents resolve customer service issues using phone, email or chat. Bilingual agents who speak French, based out of Montreal, and Spanish, U.S.-based, are also needed. Most of the jobs require a high school education and experience in a call center. Though they are work-at-home they are based out of a specific location. EGS hires its remote agents as employees, not self-employed independent contractors. (Read more about the pros and cons of self-employment). Because it is an employer, it is able to offer benefits such as paid training, bonuses, health and dental, 401(k) with company match and paid time off. To find open home-based positions, search using the keyword "home" in the EGS website. Open the job posting, then hit the word "apply" and accept the privacy agreement. At that point you can create a log in and submit your application.